Well after the engineer departed this morning leaving the washing machine still not functioning I hit the Bright Lights of The Big City and got some new kit. 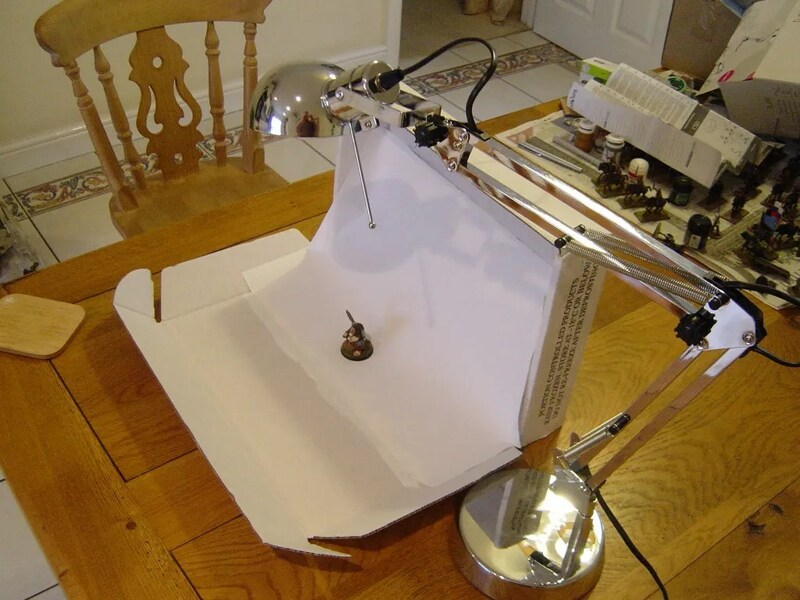 Day light bulbs are hard to come by but I got a decent Anglepoise lamp, and started upgrading the MK1 Photo box. So no Day light bulbs anymore, but there were some LEDs that had controls on the wavelength of the light they produced…only they fitted none of the lamps I was able to buy and I didn’t fancy jury-rigging something up every time I wanted to photo something. Maybe for the future. Better, no shadow there, but a bit darker due to the lack of natural light (it was taken late afternoon with an overcast sky). 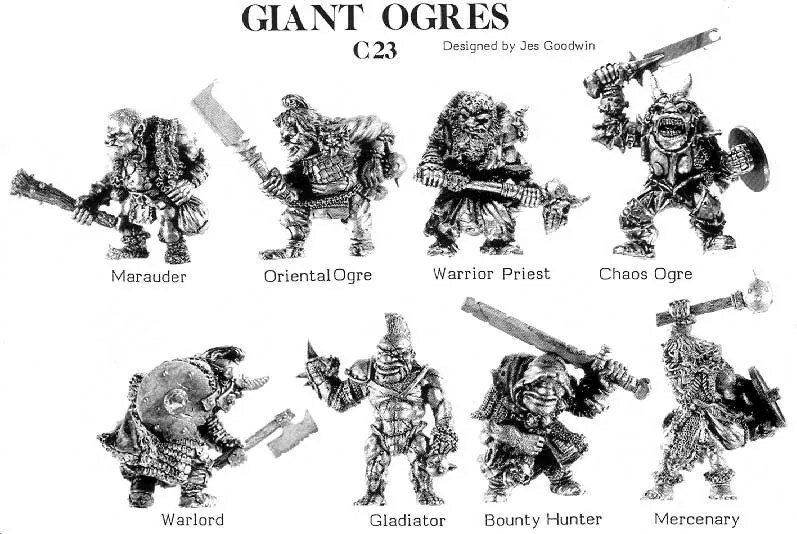 Some more Ogres, I’d never have taken this previously given the light levels and got a photo as good as this, and it is ok, not brilliant. Now I have also started work on the Photo Box Mark 2 and hope to have that ready tomorrow. 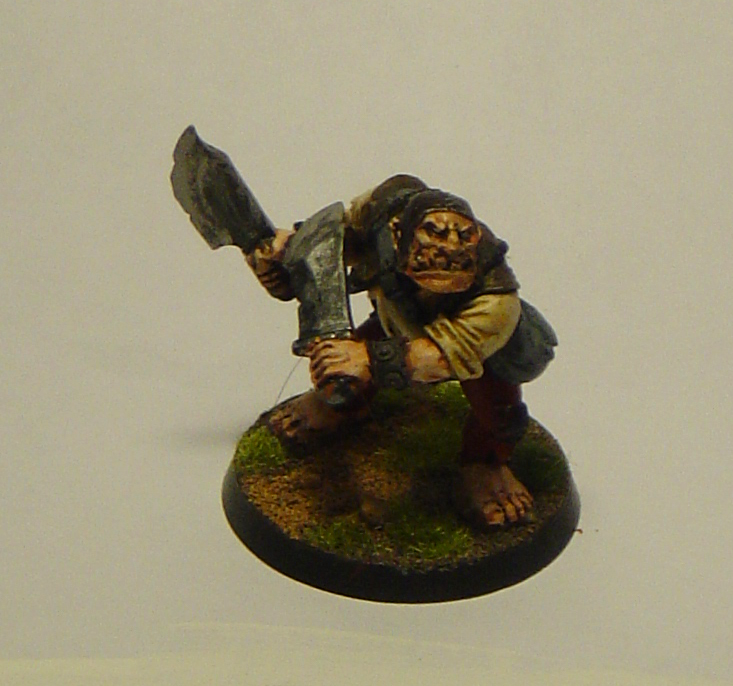 Modified Mordhiem Ogre as per yesterday. 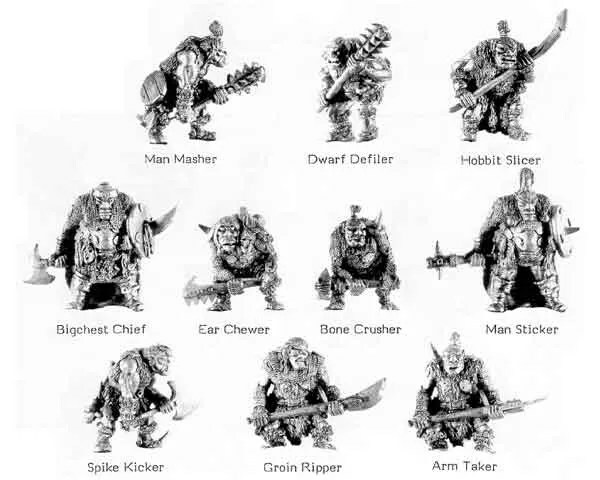 All but the first are based for Mordheim as Ogre Mercenaries. Based on a GW Warhammer Movement Tray to act as Dogs of War. 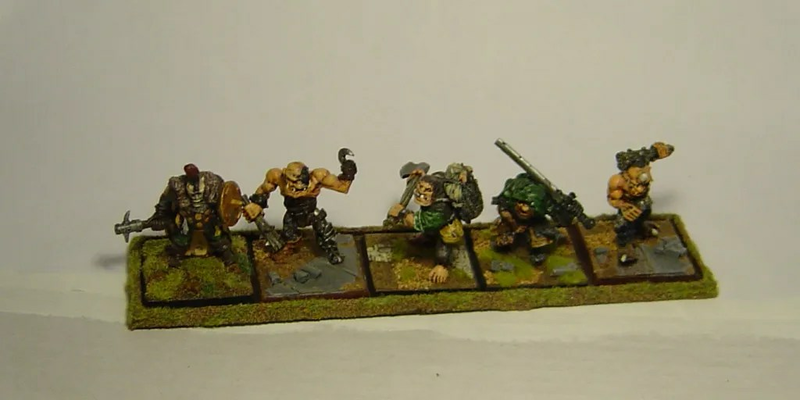 They are not as big as the modern plastic Ogre Kingom models, but IMHO are much more characterful and fit well in the Mordheim genre. 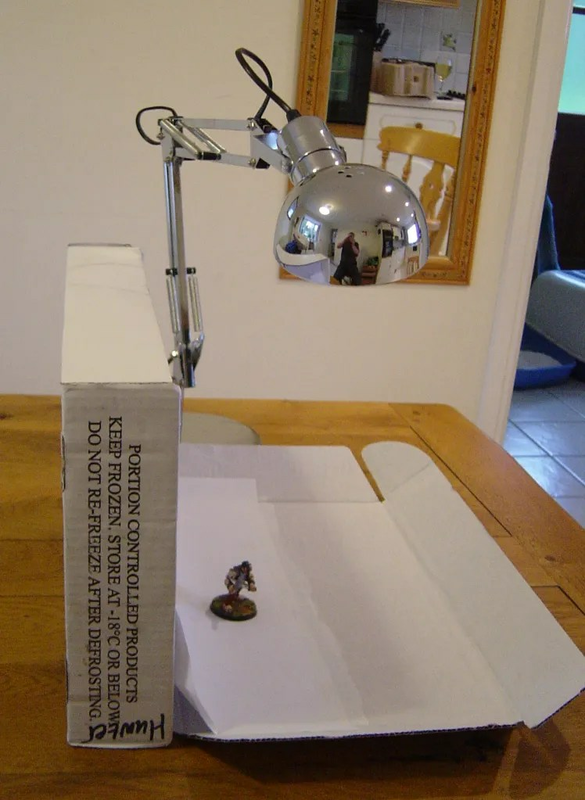 When I set up this blog, it was primarily because the group of Byakhees and I had no way of sharing photos of our games or model making activities other than via e-mail which would have killed most of our e-mail accounts. As commented, when I suggested someone set up a blog site to host all the pictures, someone asked: “Doesn’t a certain ex-Webmaster, have the skills to do that ?” As the certain ex-Webmaster, it then ended up for me to set up the site. Obviously the remit expanded a bit to include my own peculiar interests like cats, films and music. One of the most harmful things you can do in this life is to try to please everyone. You can’t. This is your virtual space, your online home. Try to tell people what you think, what’s your opinion about this or that, and I guarantee you, people will respond. Well I guess its working. As a Webmaster, you become interested in how many people read your site. Then you want to know what they read, and then who they are, how they get there and where they go afterwards. Luckily WordPress does a load of stats for me along those lines. The stats show a month on month increase in the last 6 months with a daily average now in excess of 50 (unique) visitors – yay ! Can’t say its all due to me because I’ve done the “Special Guest Super Star DJ” posts of my friends’ models. But neither have either myself or my mates done much in the way of publicity. Try to make the post look nice. Add pictures, sketches, whatever. There should be a balance… you know the eye grows tired when it sees a lot of words. Font size, colors, all that stuff. 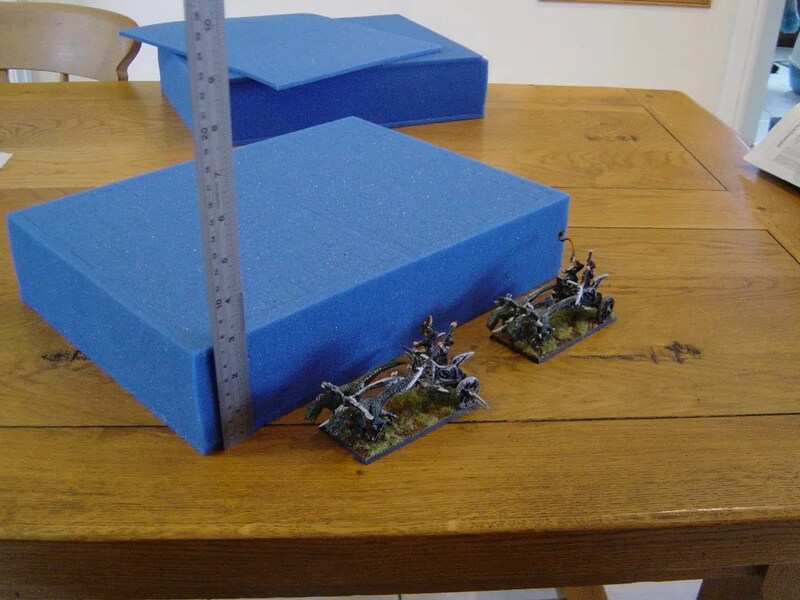 Hence, my new project with the photobox, to improve that aspect of this blog, because as it is primarily focused on wargaming and miniatures you need a lot of eye candy. One thing Chrisitan didn’t emphasise enough was making sure your blog roll is not only added to with quality content, but making sure its added to on a regular basis. This is the second rule I learnt as a corporate Webmaster. There’s no point in having either a web site, or a web site with good content if it is not kept up to date with new and improved content or service. Now for this blog its mostly the content, not the services. 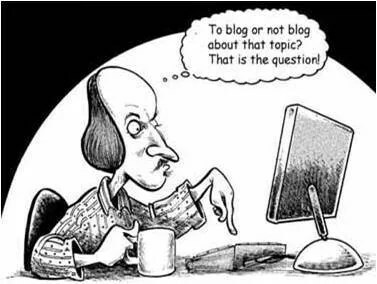 So I don’t necessarily agree with everything that Christian has to say on his post about the Seven Golden Rules of Blogging, but much of it I do. There are several blogs or web sites I have bookmarked, that I no longer visit regularly because they are simply not updated often enough. If ever. And sometimes I click on the book mark and find they’ve died a death. Regular updates: If you’re doing daily, weekly or monthly updates, then make it clear. I think I do most of these things already, I certainly aspire to, and aim to home in on these in the next 6 months or so. No posts for the entire weekend. Boo Hiss ! That’s not how to run a blog. Instead of going to a Zombie Boot Camp, and going to AVBCW Evesham BG5, I was nursing a bad head cold. So I missed two events I’d really looked forward to. Saturday was good light for painting so I seized the opportunity to almost finish 15 Cossacks off. 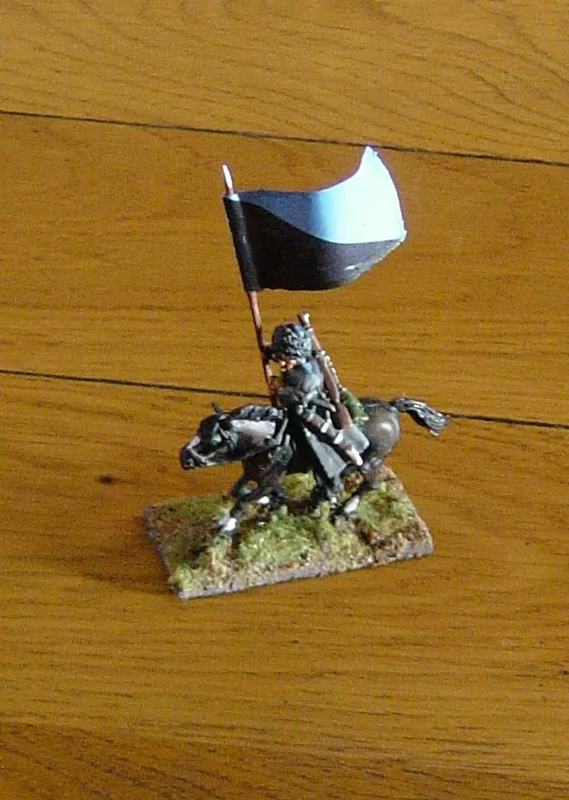 Sunday had very poor light – too poor to do anything other than block paint some Circassian Cossacks, so no photos ! And then my washing machine broke down !! Hmm, well now we’re heading into Winter, the light isn’t going to improve. So I have lashed together a temporary photo box to help improve the appearance of my photos of figures. 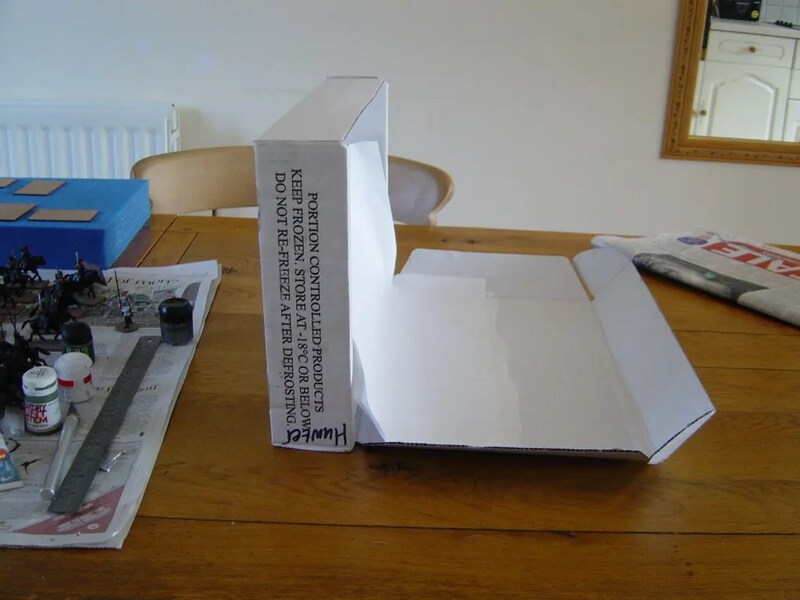 Also, taking a leaf out of JP’s posting, and from a very old White Dwarf article, I used a simple model of box and curved white paper. 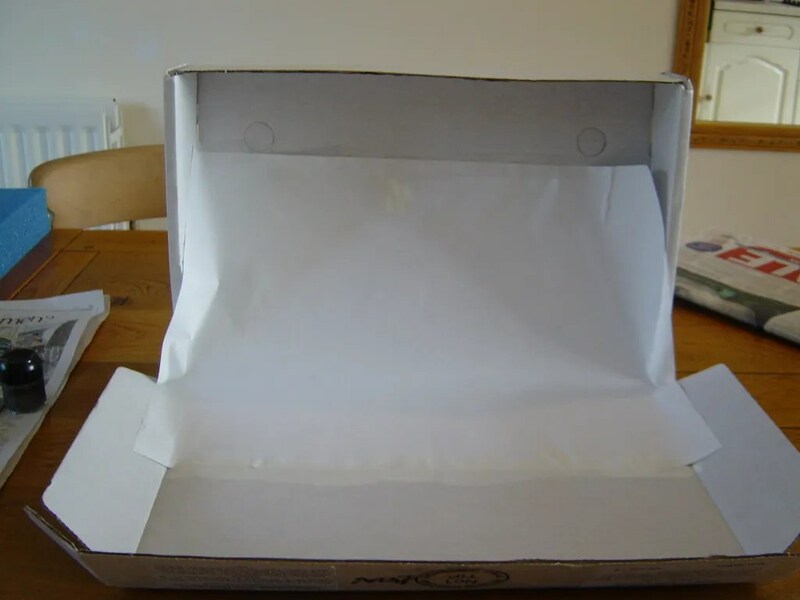 In my case I took one of the gourmet food boxes I have talked about previously, and taped in an A3 sheet of paper (using the see through tape you can get not the normal selotape which is slightly yellow. I then painted white over the taped edges and some spatters of blood (no hobby is worth pursuing if you don’t shed some blood over it). The light is a bit yellow, so I’ll get a couple of anglepoise lamps with daylight bulbs in them tomorrow. There’s also a slight shadow from the direction of the natural light and normal ceiling lights. So I’ll position the lamp directly above to remove this small problem. I have another couple of ideas to improve this first attempt at a photo box. This should mean that I’ll be able to post pictures of newly completed figures more regularly even in winter. 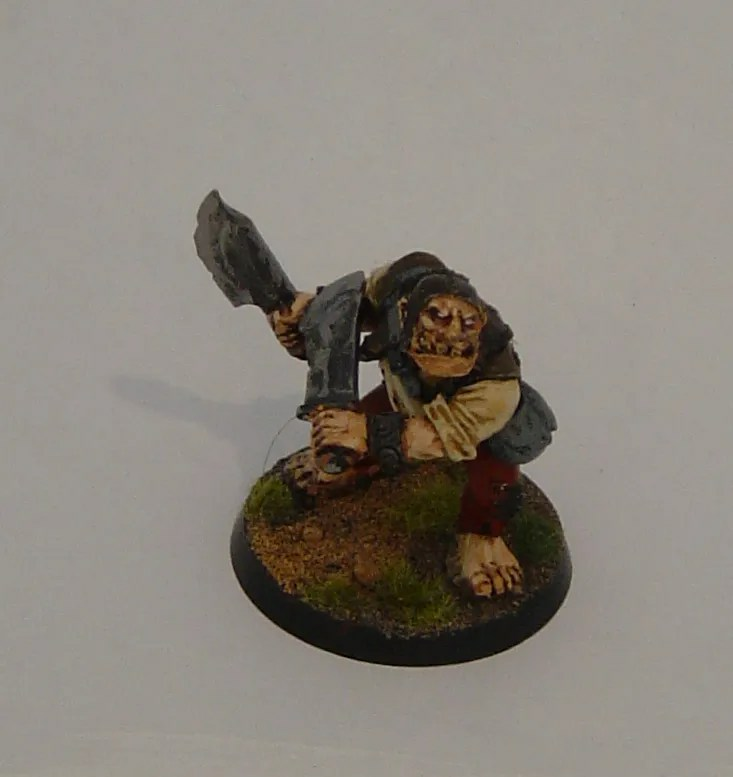 The model is a converted Mordheim Ogre, instead of using the double handed axe, I pilfered two Orc hands with Choppas from a plastic kit and used them instead. As you saw from a post earlier this week, the pile of lead on my painting table is quite large. 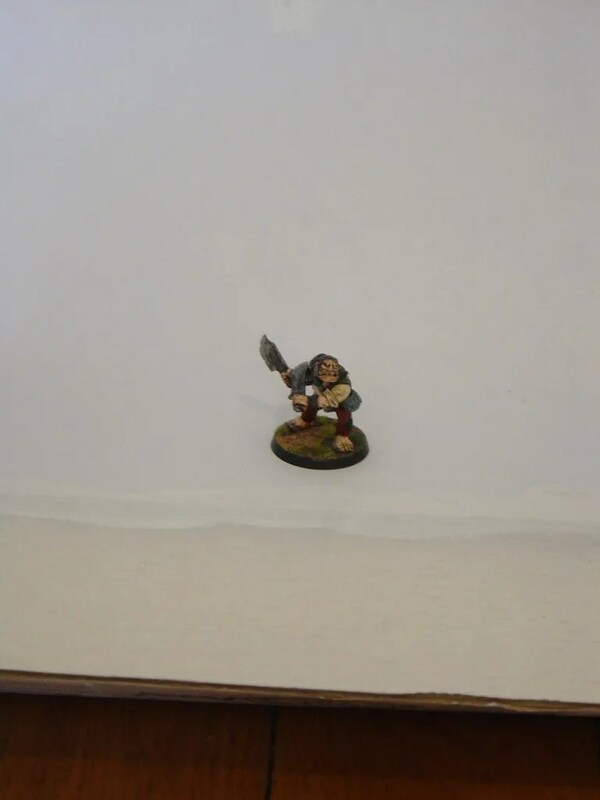 In particular I’ve finally got round to doing some of the Back of Beyond White Cossacks from Copplestone. Now I have the Colourful White Russians as an army, and the ragged White Russians as (nearly) an army. The Cossacks might have to do service in either, so I cast around for a colour scheme that was historic and able to fit into both. The light level is better than of late, but the sun is low on the horizon, so the blue of the flag looks a bit bleached out. Basically it is a blue above black flag. This is based on the Terek flag. 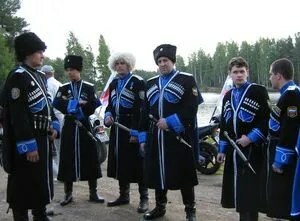 The Terek Cossacks were located to the south and East of the Don and Kuban hosts. They were allied to the Whites, fighting against both the Reds and Mountain peoples (Chehcns, Ingush et al). I decided against the Don and Kuban Cossacks, as they used a lot of red, and I didn’t want to get thenm mixed up with any Red Cossacks I eventually do. As all Cat owners/servants/slaves (OSS) know, Cats never pay much attention to their OSS. Cats never follow the OSS around. Should the OSS think this then they should be disabused of this crazy notion. For example, every morning, I walk down my drive, cross the road and go to the Post Office to collect my newspaper. Viurtually every day, I am amazed that there are 2-3 Cats, on my driveway watching for my safe return across the road. By an amazing co-incidence, this morning I took my camera with me when I went to the Post Office, and was stunned, nay shocked on exiting the shop to find that there were two black furry felines half way down my drive. Imagine that ! As all OSS know, it is simply because we are going where our Cats are about to go. They are definitely not following us. 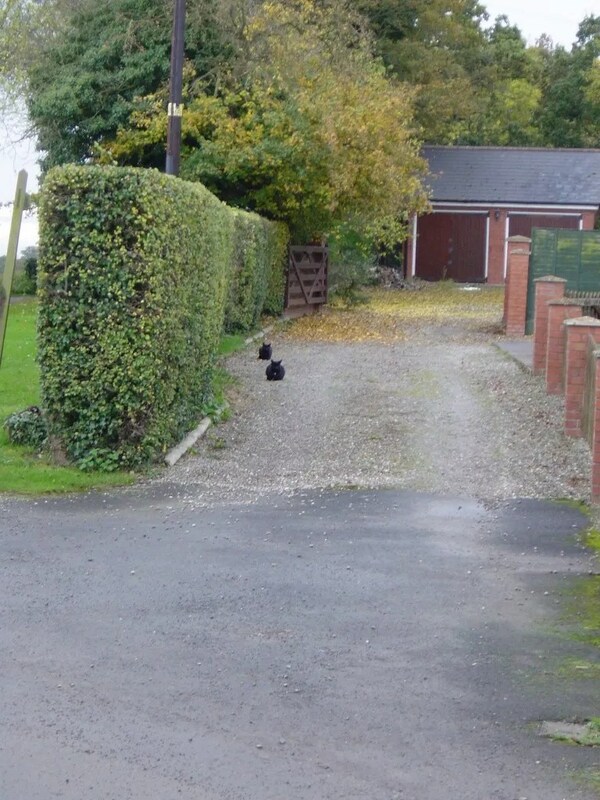 I have now had to explain this very fundamental and simple rule of Cat behaviour to many people on my village, all of whom have observed the Feline Black Guard on my driveway with some amusement, day in, day out. Even my cleaner, who lives in a different village has observed this behaviour (the fact I go where the Cats are about to go). 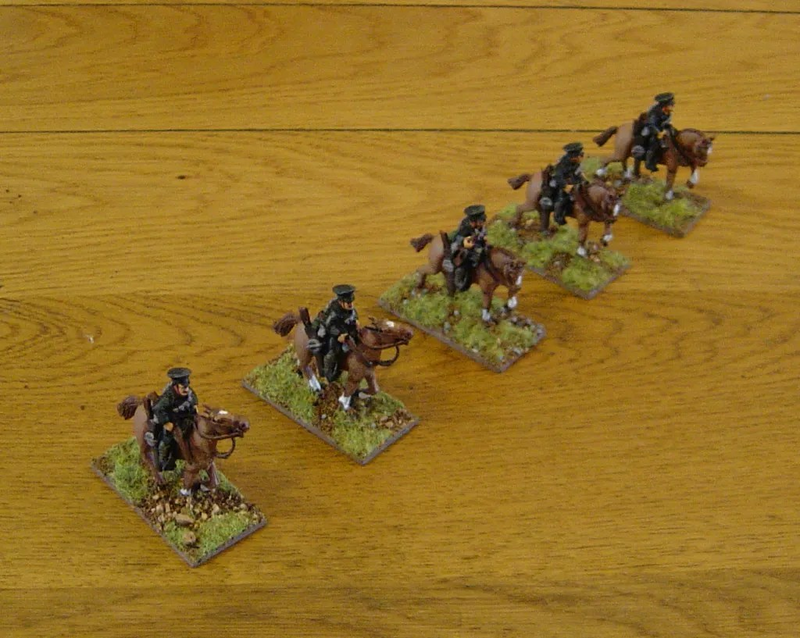 Which is what I had suspected – my Palomino coloured cavalry are now the oddity. I used Kevin Dallimore’s book which has a page on horse colours to start painting them as I don’t have much experience of equine colours other than what has appeared in the field out back, or the field at my parents’ previous house. 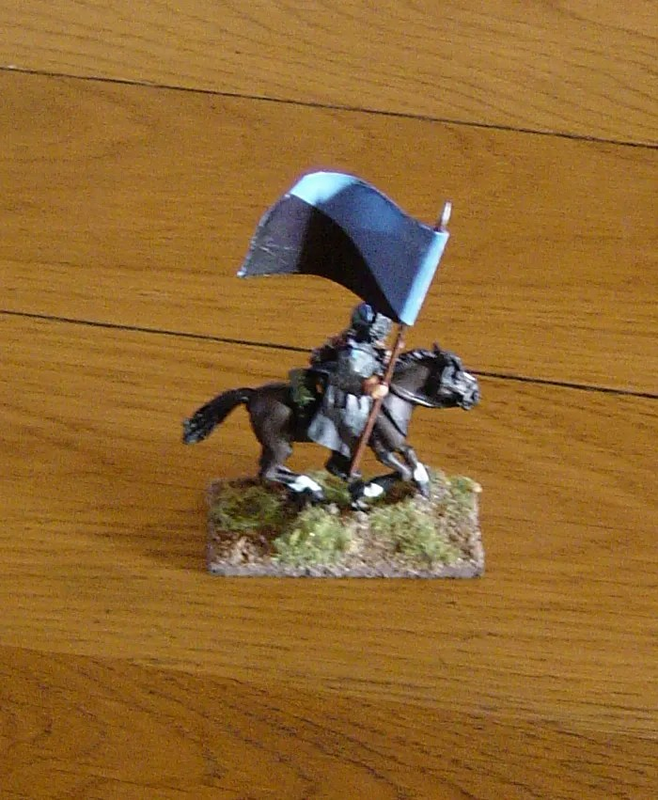 So no British Grey Horseman for me, no Crimean charge…. Well now I have a scientific alibi for the dearth of recent photos that I blamed on poor weather and light conditions. Latest scientific research shows that even though the last decade has been the hottest on record*, the surface has been getting less sunlight. Global Dimming and Global Brightening describes the variation in solar radiation reaching the Earth’s surface. This has nothing to do with changes in the intensity of sunlight emitted by the sun, but rather with changes in the transparency of the Earth’s atmosphere. Worryingly, this means that the noughties could have been even hotter than they were. A useful round up is here. Given the prevelance of AGW deniers on the internet, I do wonder however, if there should be research into the dumbing down (dimming) of the intelligence levels of humans. Happily (?) 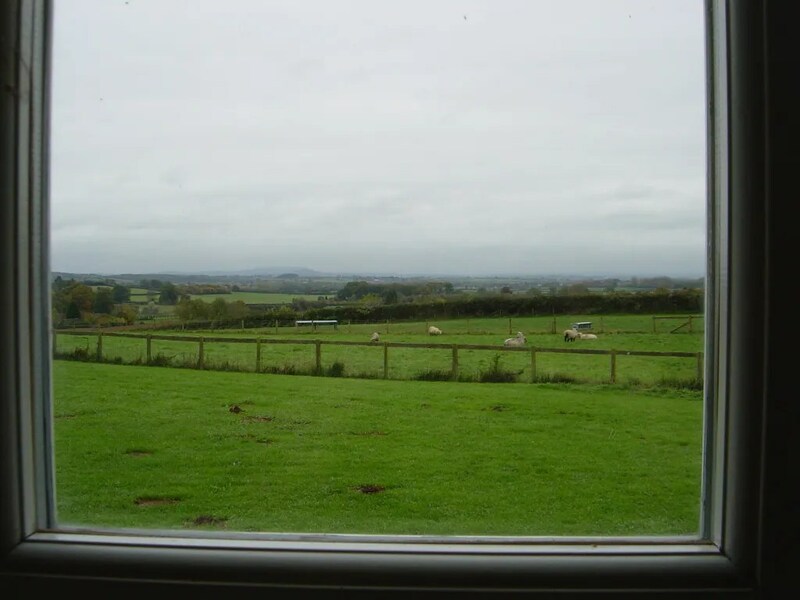 today is a bit brighter, and rather than just the field behind my house, I can now see as far as the next village ! KR cases delivered very quickly as usual, and are proving to be a winner with the flock of Byakhees, Anthony and Jim also using them extensively. 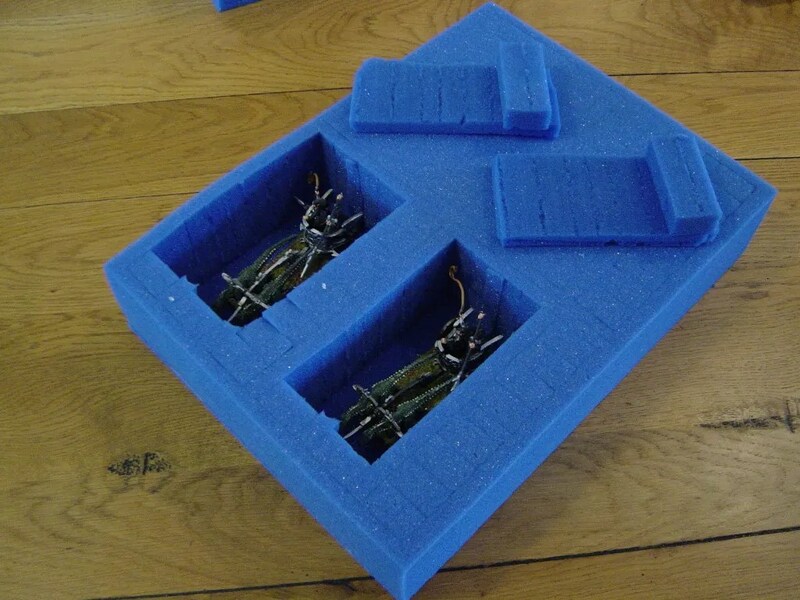 We’ve also taken to just having the foam trays, and mixing and matching what goes into the cases depending on what armies we field. I’ve no hesitation in recommending their products. * Yup, the hottest on record, the Daily Fail’s article claiming that global temperatures have not increased is deeply flawed.